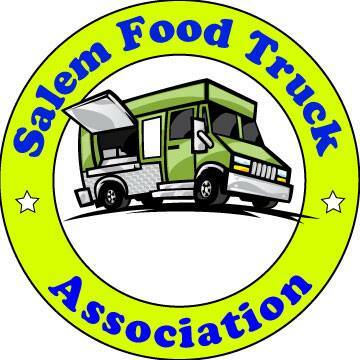 Posted by T:), a new Eat Salem reviewer. You wanted to know where to eat next, well here is my opinion. I noticed you have Tong King Garden on your list and I highly recommend it. My husband and I do not go out to eat very often so when we decide to spend our hard earned money at one of the local establishments it had better be worth it. Good food, good service, good portions, good price. Although Tong King Garden has been around for quite awhile I’m surprised at how many long time Salem residents have never heard of it. It could be the hard to find location at 989 12th St Se, right in the middle of used car lots and auto repair shops. Maybe it is the building its self; small, no sign, little parking, and combined with a barber shop. Whatever the reason, most people have the same reaction I first did when I explain where it is and what it looks like. When a friend wanted to repay me with lunch for good deed I was all for it. Then I saw where we were going and didn’t even want to walk in. After a quick trip to the bathroom I was really sure I wanted to go somewhere else. I’m glad I was persuaded to stay. It is nothing to look at but it is clean, the service is great and the food excellent. We both had combination plates and shared a side of bbq pork. I sampled all of his choices along with cleaning up on mine. Everything was fresh and nothing tasted like it was out of a can or a package from Costco. (you know what I’m talking about). The sweat and sour chicken did not have the red/orange sugar goop on it, instead it was a nice light orange citrus sauce that was just thick enough to coa t the chicken (yes, there was actual chicken in the breading, I know, hard to believe) and had chunks of fresh fruit mixed in. The fried rice was perfect and the bbq pork was real pork that had been bbq’ed, not that white and hot-pink jerky they give you in most places. I could have eaten my self sick just on the rice and bbq pork if I wasn’t drooling over the other stuff. I usually hate broccoli beef but after a bite of my friends I was begging for more. Oh, and the soup they brought out to start with was great, just needed a little salt to make it perfect for me. A few years later on one of our first dates with my now husband he wanted to surprise me with a “little hole in the wall place” he knew about. We were sho cked to find out we shared the same secret place to eat. We go there on our anniversary every year and joke about it. I have only found one other person who knew about Tong King right away when I mentioned it and she was both happily surprised and slightly offended that some else found out about her “secret”. She and her husband have been going there once a month for years and have tried just about everything on the menu, not one complaint. Over the years I have gotten into the “there is no good places to eat in Salem” conversation many times. I mostly agree, but I will defend our pizza choices (I totally agree with your reviews there), good prime rib and steaks can be found at McCleay Inn, decent Italian at Gepetto’s and my favorite Chinese at Tong King. Most of the time I have to explain where these places are which is sad. Everyone knows where Lum Yens, Road House, and Olive Garden are but I can’t stand the food at those places and hate when I hear people recommend them as a good place to eat out. So if you are in the mood for some good Chinese food and don’t have high expectations on atmosphere check out Tong King Garden, I hope you like it as much as we do. This place has been a family favorite of ours for 20 years! Lunch is such a bargain! And I actually think the food is better at lunch, but dinner is great too. Yah, it's old, carpet is getting nasty, but it's good. Better than any other Oriental food I've had in this town. You guys have convinced me to try Tong King. I'm not sure when I'll get a chance to head over there. Maybe lunch or dinner for takeout. 10 Years ago My BF used to work at a minimum wage job in the area. His one splurge (things were tight for him) was an occasional lunch special at Tong Kings when he was able to have a full hour off for lunch. Whenever we eat there, it always takes him back to a nostalgic time when as a overworked and underpaid employee, Tong King always had a delicious warm bowl of egg flour soup and great food to pick him back up and keep him going. I hope they stay in buisness for many years to come. Its nice having a few lasting landmarks in the ever-changing landscape of Salem. I’ve driven by this place many times and discounted it as not looking so hot. In fact, you have to look closely to tell if it’s open at all. But today, feeling adventurous, I walked in. I ordered their Black Bean Sauce (medium heat) Chicken and Fried Rice. A pot of tea was presented immediately along with a glass of ice water. Meals include a choice of Egg Flower Soup or side salad. Alas, Hot and Sour Soup is not an option. I had the salad which was unremarkable. My lunch was promptly served and was piping hot. I removed the green bell peppers (which I like, but they don’t like me) and dug in. It was really very good. The portions were large but I easily managed to surround them. All for $4.95 plus gratuity. (They do not take American Express) Don’t be turned away by the looks of the place. I think if you give them a try, you will not be disappointed and may be pleasantly surprised. Shrimp Egg roll is pretty good. Cashew chicken is super salty as if someone dumped the salt shaker on it!! I debreaded a piece of shrimp to see what I was looking at and found "grit" which after close examinatin it was the back vein that wasn't taken out. Soda costs $1.85 and is not refillable. Waited forever before appetizer of fried won-tons was served. Maybe I need to order something else but if I go back it's for the chicken and rice! As of right now, I don't plan on going back! How sad, this was my first lunch there too! Now under new management which explains the "grand opening" sign that went up this week. All new employees, big menu changes, most noticeable in the combination plates. Hubby and I both were disappointed that the broccoli beef was removed from the combo plate and replaced with chicken chow mein (which we detest). A shame this happened as we have been coming here for 10 years and hubby several years before that. I do hope this works out, good Chinese is so hard to find. I know what you mean. I still miss our old favorite--even if I can't remember it's name.